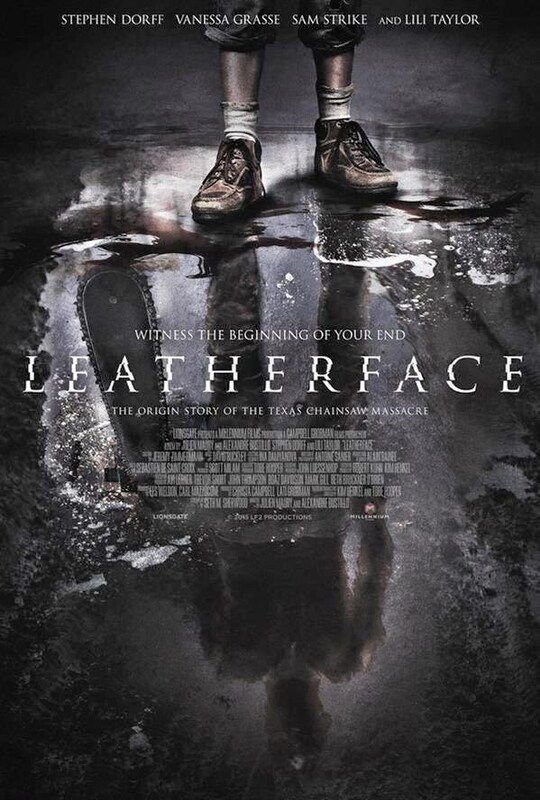 The long awaited newest entry into the Texas Chainsaw Massacre franchise, a direct prequel to Tobe Hooper’s 1973 original classic, Leatherface will finally rev it up in theaters this October. One of the film’s producers Christa Campbell took to Twitter earlier this evening to reveal that Leatherface, which will reportedly follow a group of escaped teen mental patients, one of which will become the titular flesh-wearing killer, will be released in theaters in October, just in time for Halloween. Directed by Julien Maury and Alexandre Bustillo (Martyrs), the prequel centers on four inmates (Jessica Madsen, Sam Coleman, Sam Strike, James Bloor) who escape from a mental hospital, one of which becomes the title character and iconic slasher. The quartet kidnap a young nurse (played by Vanessa Grasse) and take her on a road trip from hell. Along the way, they are pursued by an equally deranged lawman (Stephen Dorff) out for revenge. Lili Taylor (The Addiction, The Conjuring) plays Mother Sawyer.